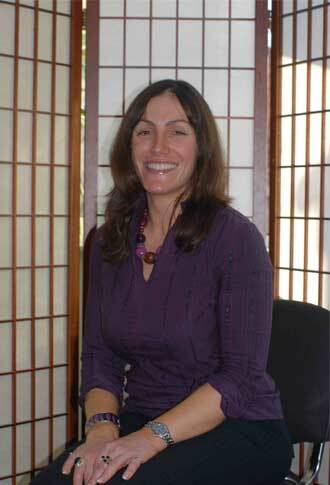 Welcome to Alderley Edge Hypnotherapy With the well known health expert Claire Hegarty The Hypnotherapy and NLP Expert as seen on TV and Always Heard on the Radio Including Her two monthly radio shows. Alderley Edge Hypnotherapy with Claire Hegarty offers a free consultation either by phone or face to face at one of her offices around the United Kingdom where she offers you powerful results. Allergies/Asthma, Anger Management, Anxiety, Block and Stutter/Stammer, Business Coaching, Depression, Fear of Flying, Fear of Needles, Fear of Public Speaking, Irritable Bowel Syndrome, Pain Relief, Personal Development, Weight Loss, and Substance abuse. Alderley Edge Hypnotherapy with Claire Hegarty – your local Professional Hypnotherapy and NLP expert is here to help you to change and improve your life for the better – helping you to over come obstacles in your life with powerful life changing results. Did you over 100,000 people each year die from smoking related illnesses? We help people to give up smoking, stay healthy and put more money back in their pockets by using stop smoking hypnotherapy. If you have been one of those people who have tried to lose weight on a traditional diet then you may have found what millions of other people have found, diets are not working to help you to lose weight with long term results. By using Gastric Band Hypnosis, which is a powerful weight loss hypnosis technique, we can help you to lose weight and unlike diets, we can help you to keep the weight off. Having a fear or a phobia can cause major problems in your life and stop you from living your life to the full, that is why we offer a unique Phobia Hypnotherapy service where we will help you to lead a normal life by dealing with your fears and phobias. Life is about enjoying yourself but if you suffer from Anxiety or Depression then you are not able to live life to the full. By working with Claire Hegarty who offers a unique Anxiety and Depression Therapy service, you can look to the future with positive results. Do you have a problem with your anger? Is your anger getting out of control and making your family and friends worried? Are you scared that your anger will cause someone physical violence if you do not get your anger under control? Are you worried that you could lose your family, friends and your job if you do not tackle your anger issues? If you have a problem with your anger then contact us today where we can talk to you about our Anger Management Therapy service. Have you heard of Life Coaching? Did you know that Life Coaching, which is a powerful service, is being used by large companies around the world to help them and their members of staff to get the best out of life? If you would like to know more about Life Coaching and how this powerful service can help with your future then please do contact us. A lot of people who do not suffer from fear of flying do not take this issue serious, but if they knew the huge impact that fear of flying has on a person’s life of if they experienced that impact just for one hour then they would understand. If you have a fear of flying phobia and would like to tackle the issue head on, then please contact us and learn about our fear of flying hypnotherapy service. If you have an issue or symptom that is not listed on the list above then please do contact us, we do deal with many issues that are not listed above. If you live in Alderley Edge and have problems with weight-Loss and have tried many different diets that have not worked for you and found yourself yo yo dieting then maybe it is time for you to learn the real way to lose weight. Have you become fed up and lost count the number of diets that you have started, only to then find that the hunger got you down and you have up? Have you tried lots of diets where you became unhappy at having to watch everything that you were eating and found yourself down at Tesco or Asda looking for weight loss foods that was to expensive? Maybe you have tried lots of so called fast track diets and other traditional diets but found that as soon as you stopped the diet you put the weight back on and more besides? We help people who live in Alderley Edge as well as people from around the UK lose weight with our powerful hypnotherapy method known as the Virtual Gastric Band which is safe, effective and above all gets the weight loss results that you are looking for. By using hypnotherapy you can have an effective weight loss technique where you can really lose weight. With the power of hypnosis you no longer have to yo yo diet and will start to lose weight and become slimmer by using our unique weight loss technique. We offer Free Weight Loss Advice to the people of Alderley Edge who would like to learn how hypnotherapy can help with losing weight. Since that very first Certification training in NLP she has continued to train and develop her skills, travelling all over the world to places as far as Hawaii meaning that she is always at the leading edge of personal development and offers an extremely diverse and unique range of personal development, change, therapeutic and coaching services enabling people to discover, unlock, maximise and live their true potential. She is highly regarded in her field by both her clients and those who she mentors along the path and is an active expert of various websites, radio stations and soon to also be appearing on TV. Claire Hegarty who works all over the UK offers a free consultation at one of her offices as well as free advice over the phone. If you would like to learn more about how we can help you to achieve your goals and how you can improve your lifestyle then call now for your free consultation and see how we can change your life for the better. Our free consultation provides you with a safe place to discuss your issues and learn how our techniques, which include NLP, Hypnosis, Life Coaching and Weight Loss Hypnosis, can help you to achieve the goals that you are aiming for.